For the past 10 years, JetBlue, one of the few successful airlines in the sky, has hired several hundred New York police officers and fire fighters as flight attendants. Some estimate that 10 percent of the company’s total cabin crew workforce of 2,400 has emergency response experience. Seemed pretty weird to me when I read about it in the Wall Street Journal last week. When someone mentions the word “flight attendant” the first words that pop in to my head are “cute,” “female,” and “young,” then “grouchy” if it’s United Airlines and “friendly” if it’s Southwest. Retired cops aren’t prototypical stewards, but after further reflection, maybe it’s not such a crazy idea. Police officers and fire fighters are trained to remain calm in stressful situations and deal with volatile strangers. They’re adept at noticing subtle social cues, to identify if a passenger may be disruptive or potentially dangerous. Also, prior to September 11, pilots on occasion would leave the cockpit to defuse disruptions in the cabin. Today they are prohibited from leaving the cockpit, so ex-cops and ex-fire fighters are useful to fill that role. Police officers and firefighters are also used to the alternative schedules of flight attendants—working long shifts for a few days and then getting a few days off. They don’t make as much money as they did before, but they are already retired, so it’s a nice supplemental income to their pensions. Meanwhile, unemployment remains the same at 9.5 percent. In the month of July, 150,000 jobs were lost overall, while 70,000 jobs were gained in the private sector. Who are the people getting the 70,000 new jobs? They’re often not the ones who held those same positions previously. Many of the hires are younger people, who may possess less experience and skills than their processors who held the same job but require fewer benefits and less pay. But bringing in new blood should be done more shrewdly than just on a basis of getting younger and leaner. It’s an opportunity to hire like JetBlue, to find people with fresh ideas and new skills, for a chance to take a company to higher level of success than ever before. The best new talent may be walking the streets right now, just wearing a different uniform. Question: Do you prefer to hire or work with people who previously worked in a different field than that of your business? People from different fields can inject new ideas into an organization that may be stagnated by conventional wisdom. However, there should be some reasonability of the expectations of management when doing this. I once had a boss who hired a retired gym teacher–a neighbor of the boss–to be sales manager over a group of fairly technical sales people–guys with egos–who had earned their stripes the hard way. It was a disaster. Within six months two of the top performers had left, and the gym teacher himself decided to go back into retirement. Hire for attitude and teach the skills. I have heardthis a lot in the machining trades but I doubt many people actually follow through. I interviewed Tom Medvec who is a headhunter in the precision machining game. He says most people are narrowly focused on skills because they do not have the resources to train. But in the loose labor market we have today an employer may have the option to go either way and try people out as temporaries before committing. I was talking to a woman working at the Apple store. A “mac specialist” they call her and the other sales people working there. She said they have a higher rejection rate of job applicants than Harvard. She also said that they really don’t care very much how much computer knowledge people have. If they’re friendly, intelligent, and enthusiastic, they can learn the product. Then, the ones who have what it takes get more training and become the mac experts or mac geniuses who can help people on another level. 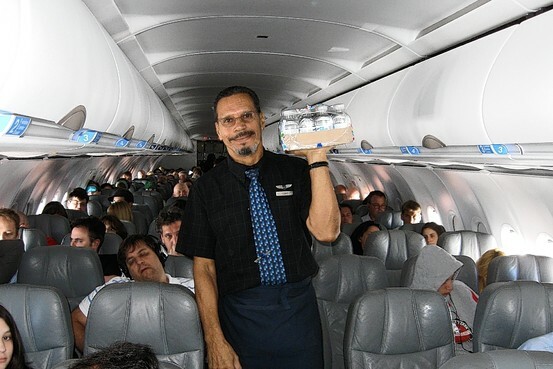 This job, like being a flight attendant, takes people skills and intelligence. However, a job as a machine operator however takes a lot more training and experience and can’t be molded from a brick of clay overnight. Nevertheless, it’s still good to have an open mind and look for potential. It’s the same dilemma in sports. Baseball and basketball organizations are always torn between going after the superior athlete with the “upside” or someone who is already producing but appears to have a ceiling in potential for greatness.